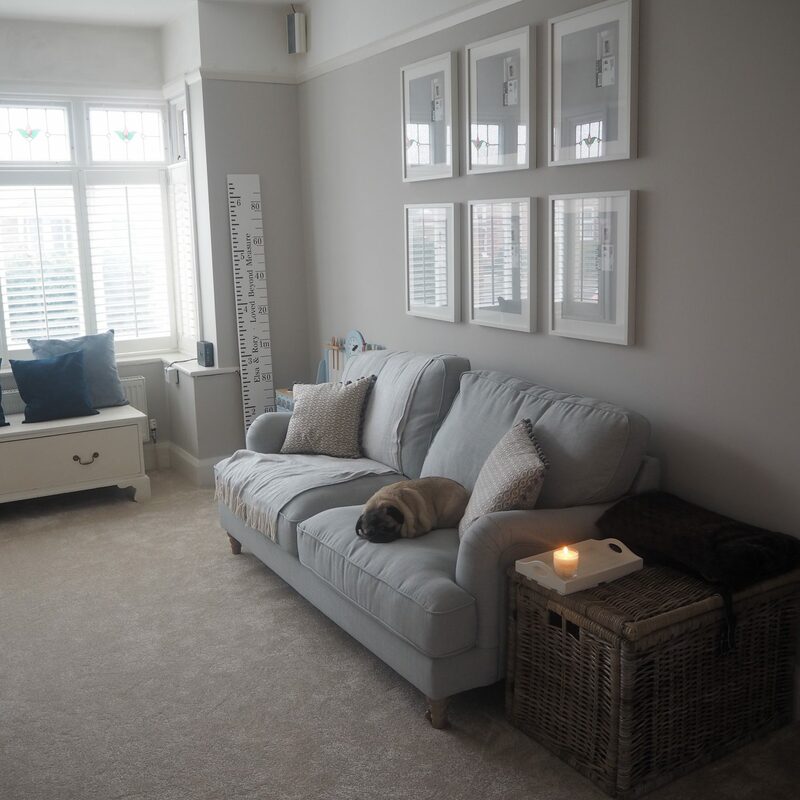 Last year we had a huge shift around with the addition of a new extension (well, we turned our leaking conservatory into more of a useable space) which meant a huge shift around in regards to layout of the downstairs of Baylyn House. We moved our living room/lounge area out in to this new space which then meant that what was this space turned into our dining room. 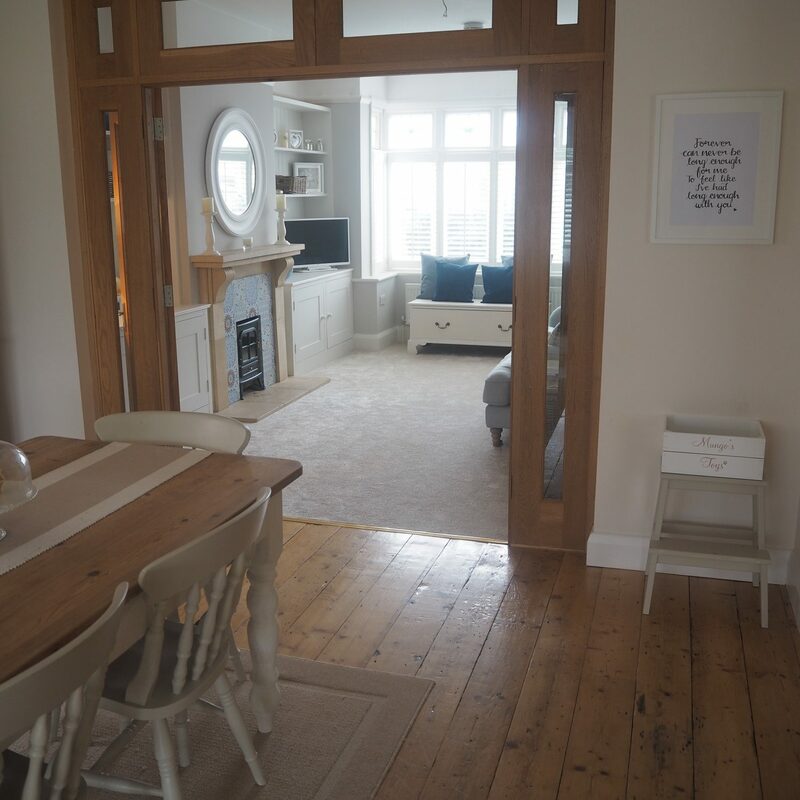 This then free’d up an entire room which is kept separately from the rest of the rather open plan living area including kitchen/lounge/dining room. This room became our playroom; or rather a bit of a 2 year old crack den complete with risk of standing on various plastic disregarded toys at all times. This was the one room in the house which was ‘ugly’. 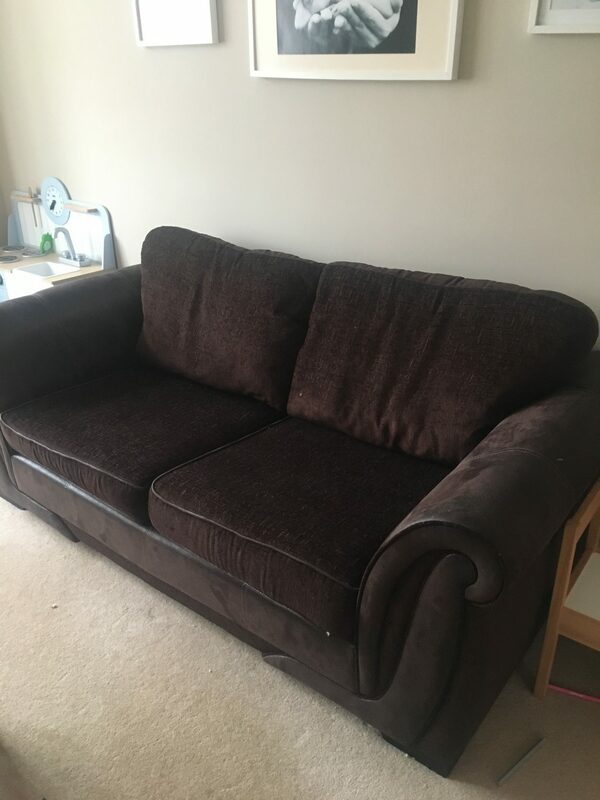 It housed a dark brown second hand sofa that had seen better days, carpet which stunk of cat pee with various stains & no proper storage for anything over 10cm tall. I haven’t actually got a ‘before’ picture as it was such an embarrassing space that apart from on Instagram stories that I knew would disappear in 24 hours; it was unseen in the world of Instagram. 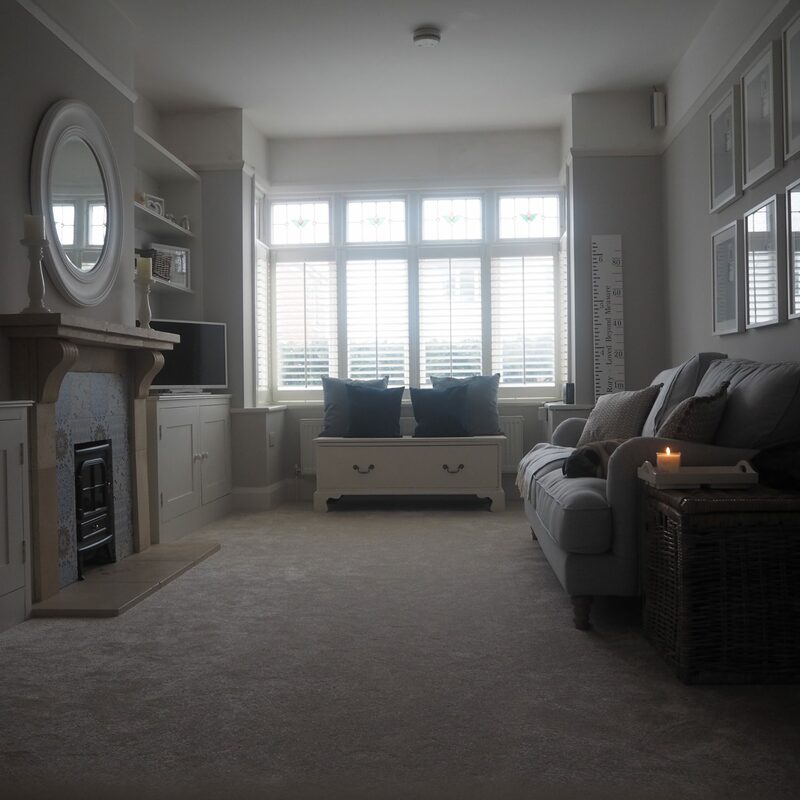 Such a shame for a room which had so much potential & looked so beautiful as a dining room (I mean come on….what a waste of shutters!) that had just been left unloved & abused by two tiny interior demons. I decided I would not have an ‘ugly’ room, even if it’s main purpose was to get trashed by an almost 2 & almost 4 year old day in & day out. 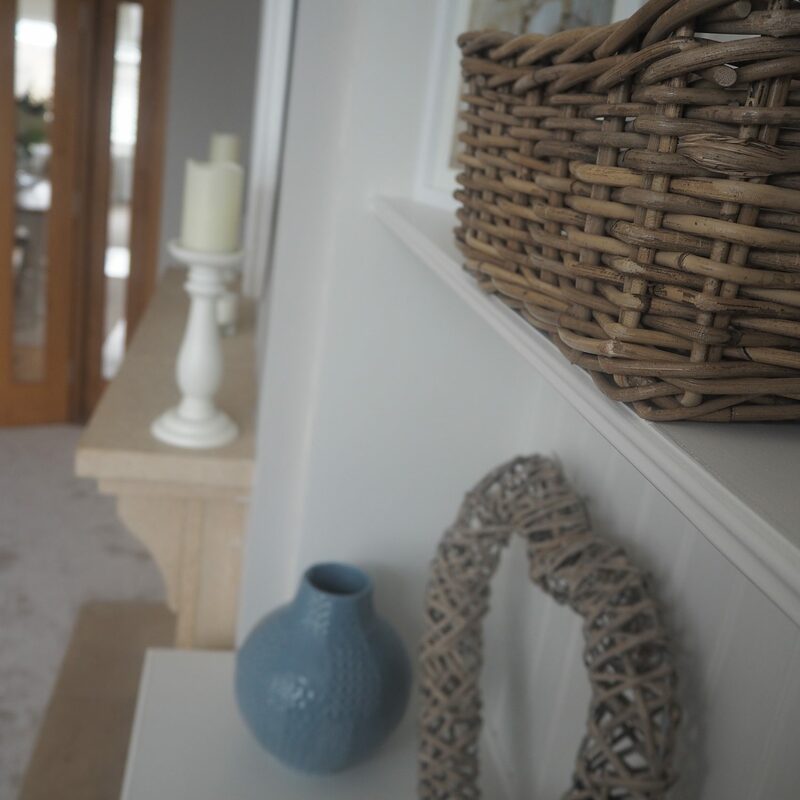 So I had a think about what I wanted from the room; a calm area which looked beautiful & in keeping with the rest of the house yet was also functional. This room had to have some pretty impressive storage solutions in order to house our ever-growing collection of toys. It was also important to me that this space made them feel warm & loved; a family room. 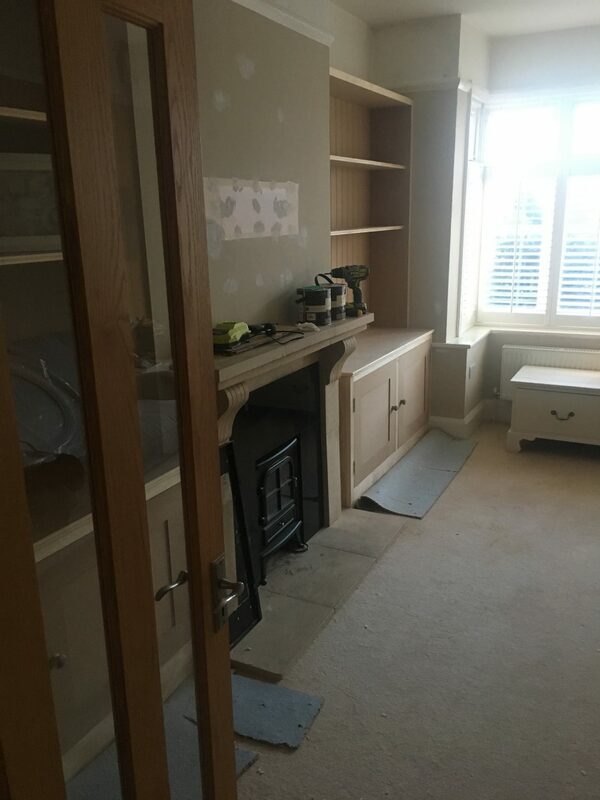 My main wish was to have two large wall units built in to the alcoves either side of the fireplace; something like what probably would have originally been in Baylyn House but been lost over the years. 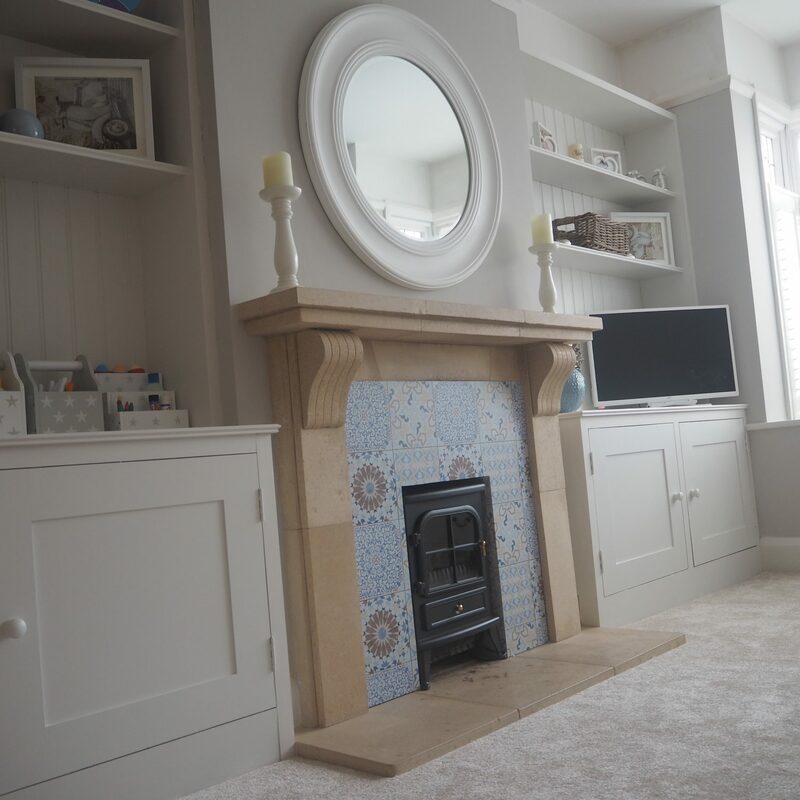 I got on the case to find a carpenter who could be able to complete this for me & came across Lee from Urban Revival who covers Dorset/Hampshire area on the South Coast. This took Lee about 5 days to complete & I am so over the moon at the finished results. 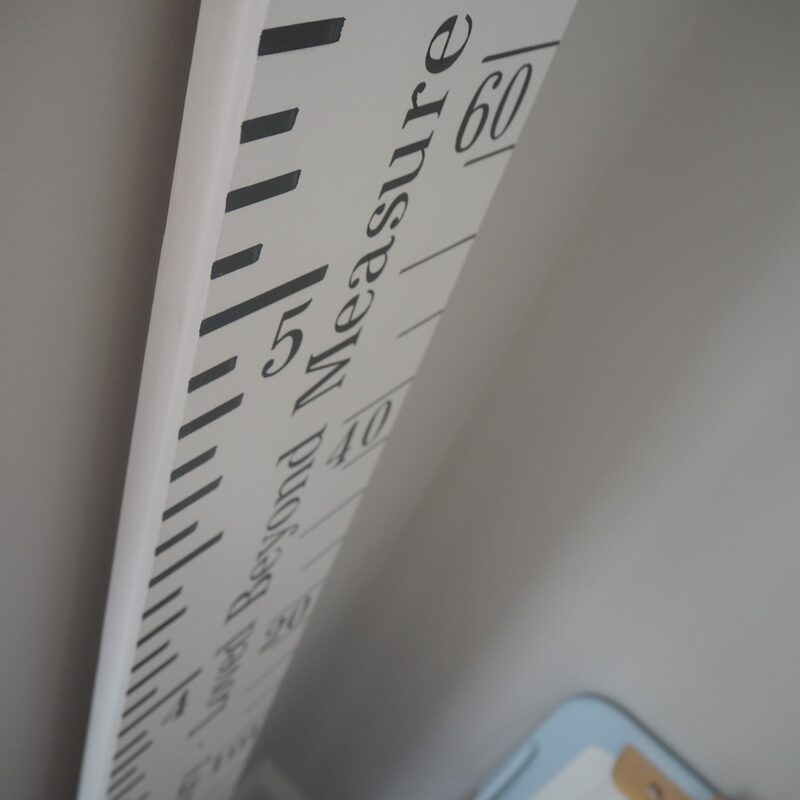 The units are built of a mixture of timber & MDF; this was the most cost effective option. I also painted them myself to save £££ using a good quality MDF primer/undercoat then two coats of Farrow & Ball Estate Eggshell in ‘Strong White’ applied using a small foam roller & a brush. Anybody that follows my Instagram stories will have seen that I decorated this room in 1 day. The units were finished on Thursday 23rd February & by the time Mr The Home That Made Me got home from work on Friday 24th February the room units had been painted, the walls filled/sanded/painted, all the woodwork had been given a lick of paint & I had cleaned the room ready for it’s finishing touches. Now that’s what I like to call #Girlpower or maybe just impatience. 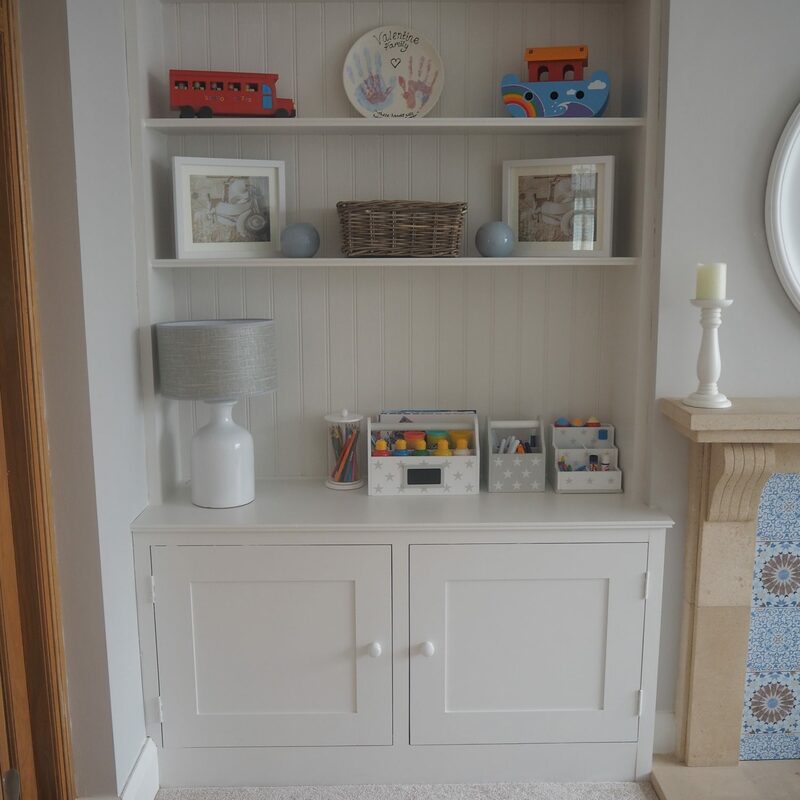 The walls are painted in Farrow & Ball ‘Cornforth White’ which is a lovely true grey; something that is so hard to get right when picking grey paint as it tends to really throw out the undertone of blue/purple. The left unit houses all of our bigger toys such as ride on trikes, the dolls pram & so on. We chose not to have shelves inside which meant that we could pop larger items which otherwise would be impossible to hide. 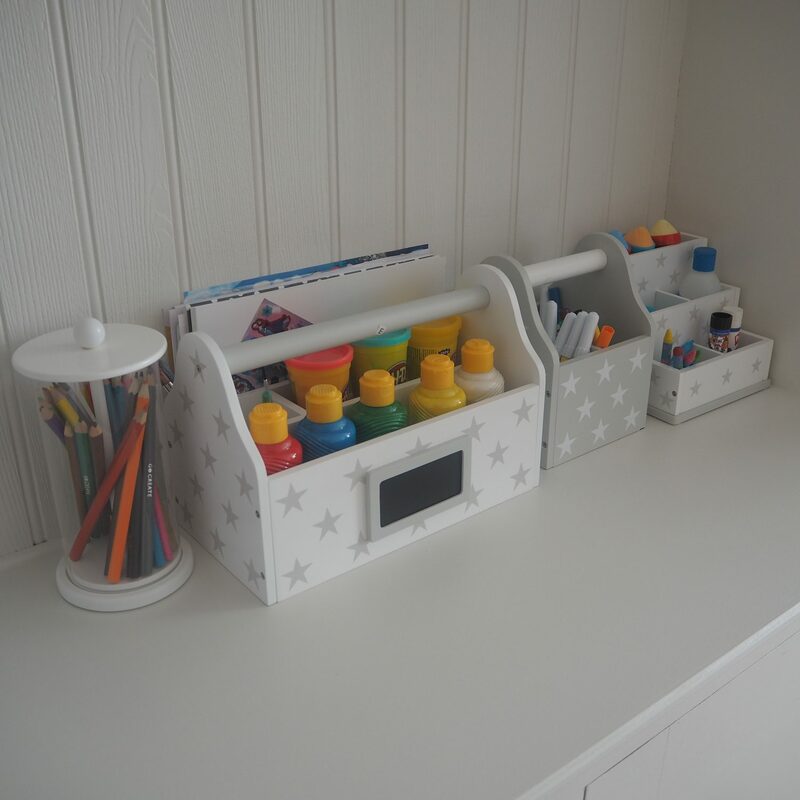 As part of this room, I wanted to encourage my little ones to be more creative so decided to incorporate an art station with the help of the gorgeous desk accessories from Great Little Trading Co which you can find here. I’m a big fan of their ranges so couldn’t resist these caddies which also make art fun as well as keeping everything from paint to pens organised. The lamp was from The Range here then I combined frames (still to fill – sorry!) with other accessories including this plate we made of all of our handprints when Rory was a few days old. On the right hand unit, we bought a 32″ smart TV. 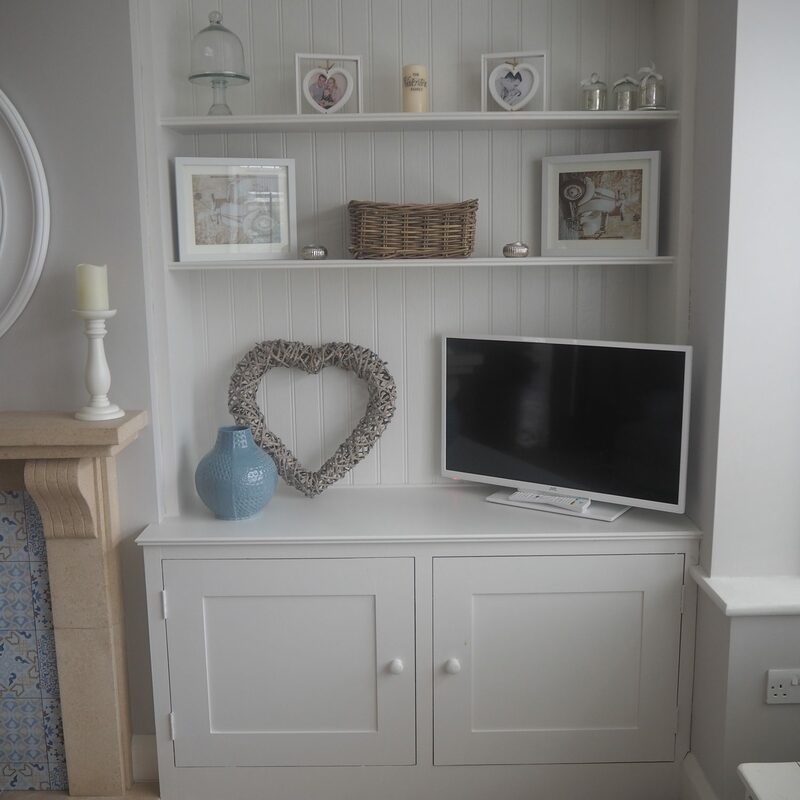 The kids can watch Netflix on it directly which they love as well as their huge stash of Disney DVD’s without faffing around. Plus I managed to persuade the husband it needed to be white which gives a much nicer finish to what can be a bit of an eyesore in any room. Again, I’ve accessorised with similar bits to give them a unified look but am still in the process of ‘faffing’. 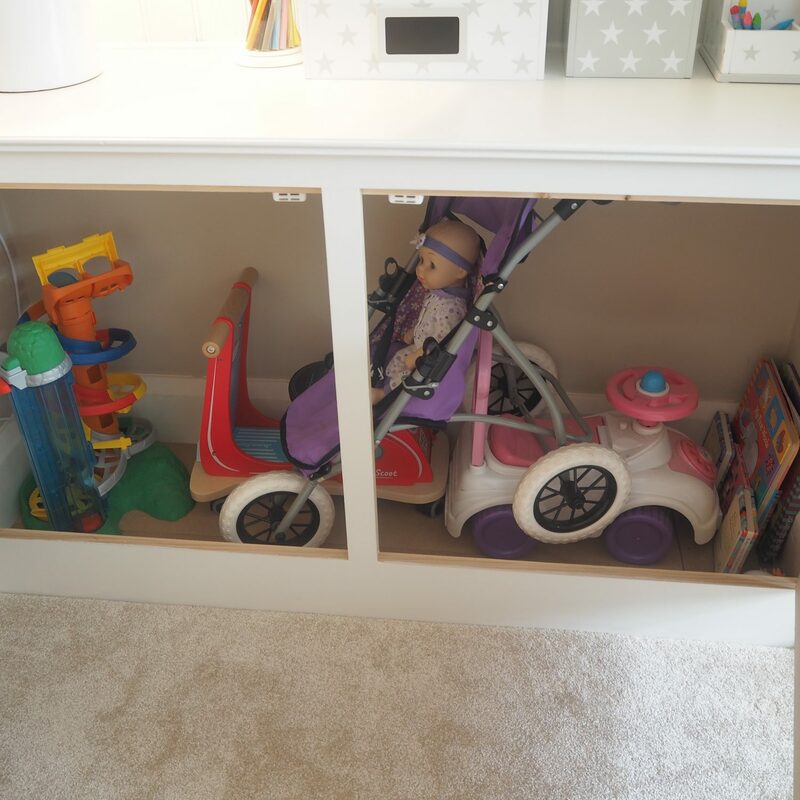 Inside this cabinet, I bought a few cheap see through storage boxes from Ikea to keep all the smaller toys such as Happyland figurines, dinosaurs, toy cars & so on. The sofa was a bargain find from Dunelm. An employee marked it down from £700 to £200 whilst I was browsing around before I’d even begun planning the decor; far too good an opportunity to miss so I was running to the till before anybody else could get their grubby mitts on it without a second thought. It inspired me to use the blue within the room which I probably wouldn’t have otherwise done. You can find it here. Hanging over the sofa are 6x large Ikea Ribba frames (size 40X50CM) which I’m hoping to get some beautiful shots of us as a family at the beach to display in black & white. Easier said than done though when you have two little ones that never stay still. 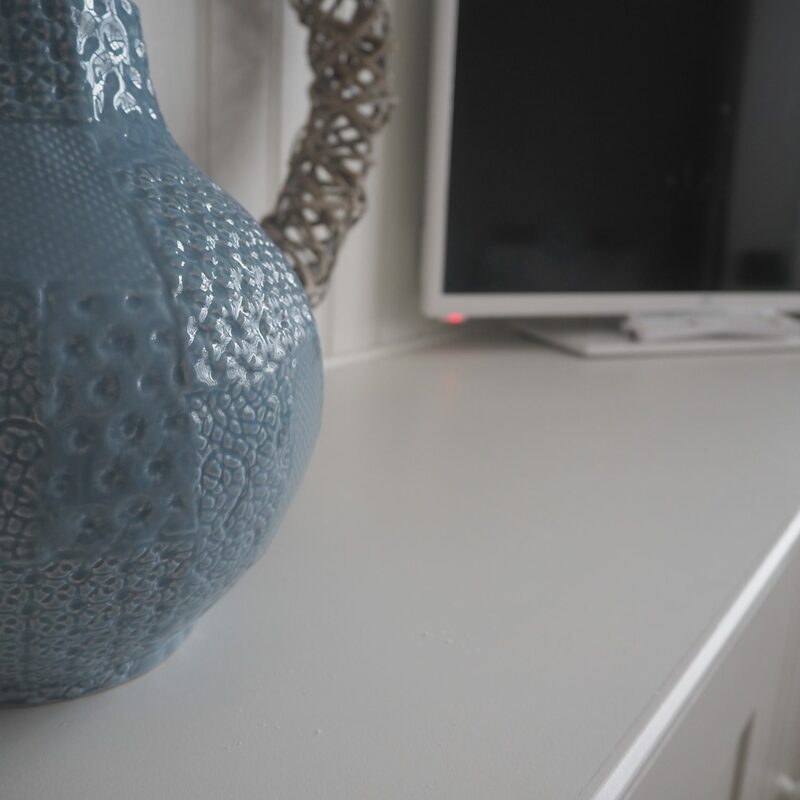 Inspired by the sofa, I looked to bring some pops of blue to the room & came across all surface sticker from Pixers. 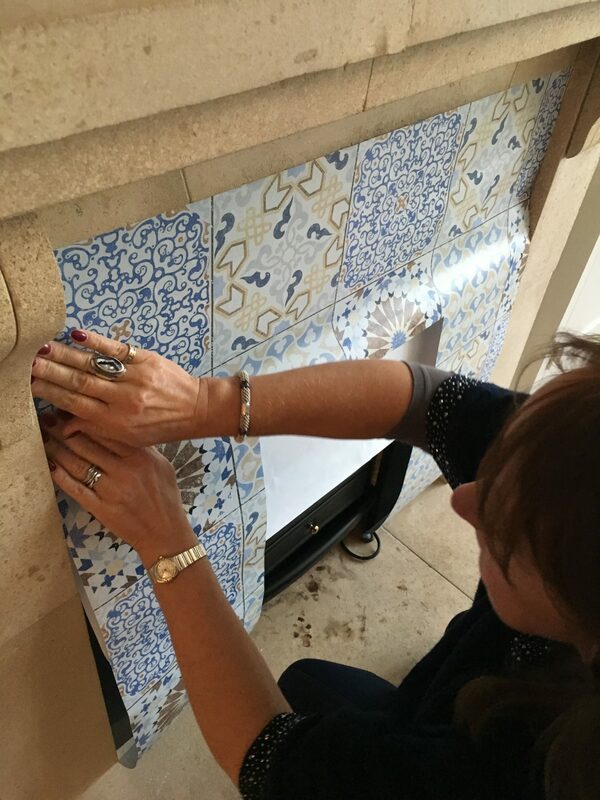 This is the same as used in my office as a wall feature however this ‘Pixerstick’ technology means it sticks on to virtually anything including fridge/freezers which gave me an idea for a bit of a fireplace makeover. I found this ceramic tile design which I immediately fell in love with considering how much I LOVE patterned tiles. As with the office, it was super easy to install as you can easy take it on/off (without any damage hence why I’m such a big fan as I don’t like the commitment of actual wallpaper/tiles for someone like me who constantly changes things!). Mumma THTMM is a pro so I roped her in to help me. 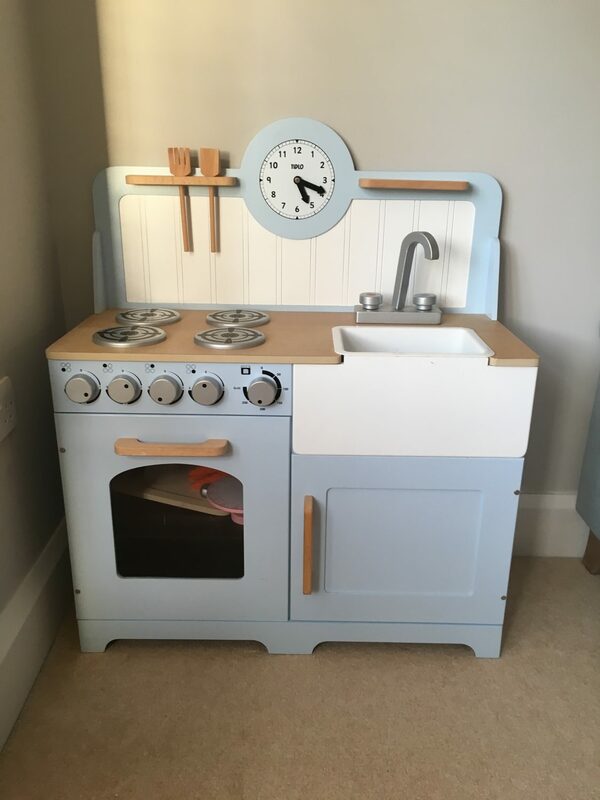 Waste not, want not so with the bit that was left over from the middle section, I also gave our play kitchen a bit of a makeover to match! We decided to remove the logs & install a little electric fire which we found on Gumtree. Eventually we will have a log burner fit in here considering it’s an open fireplace. This gives a little homely glow as well as kicking out a bit of heat if/when needed. Over the fireplace I found the most gorgeous mirror from William Wood Mirrors. This is the 36″/90cm Rebecca Grande which acts as a real statement & would suit either contemporary or period styles perfectly. The upcycled window bench still remains in place which has more art & craft bits inside. You can never have too much storage! 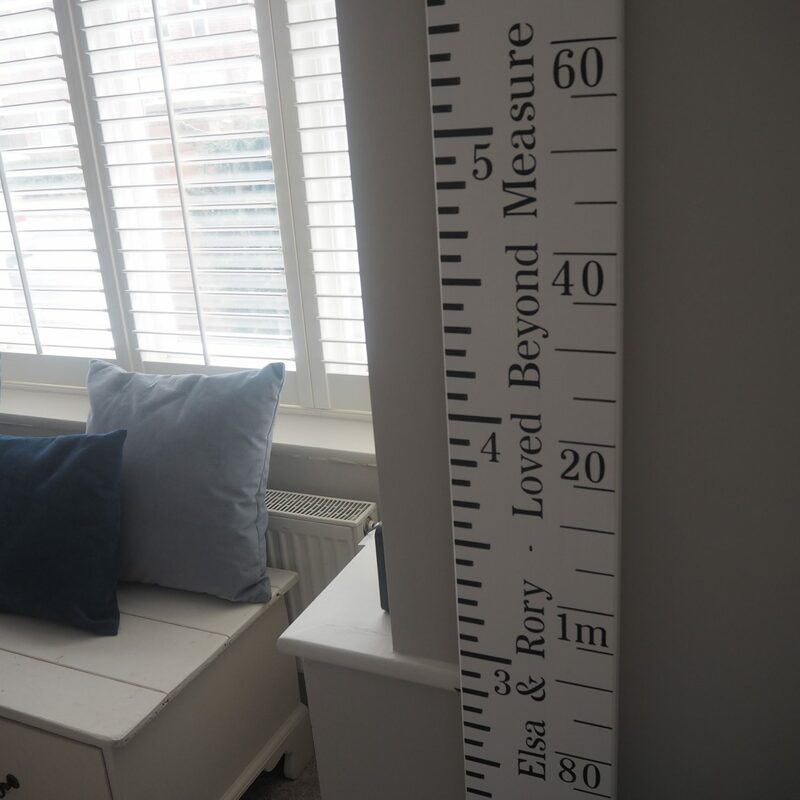 We got the talented Fletcher & Mils to create a personalised height chart ruler in white with ‘Elsa & Rory – Loved Beyond Measure’ to add a personalised touch. Isn’t it gorgeous? I’m going to mark their height on their birthday each year to see how they’ve grown. 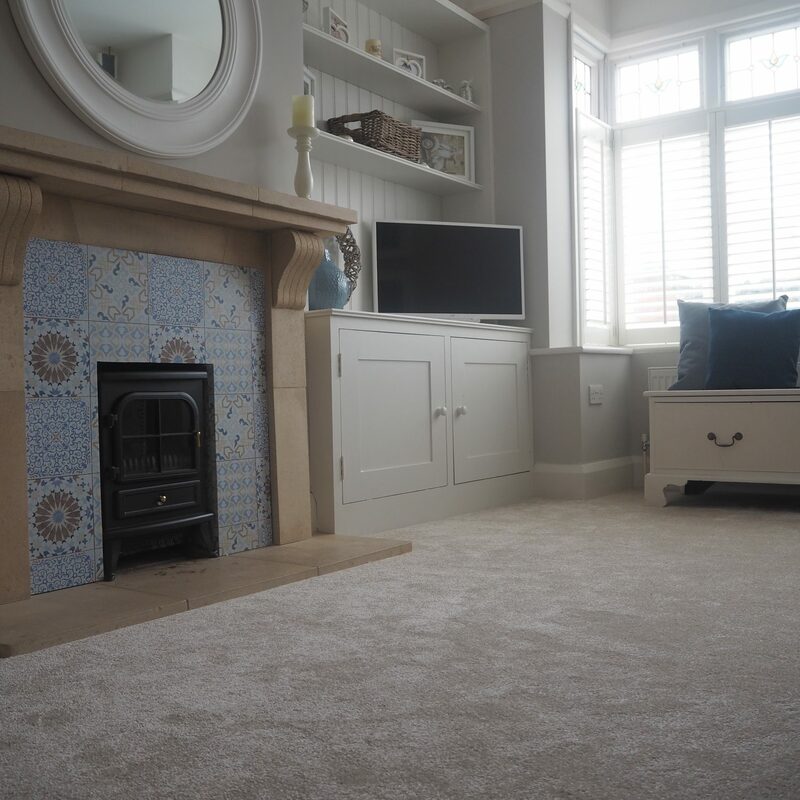 Finally to add to the snuggly look we replaced the carpet with super thick ‘sink in’ carpet from Sean Morton Pro Flooring which finishes off the look beautifully (& makes me realise what a state the previous carpet was!) 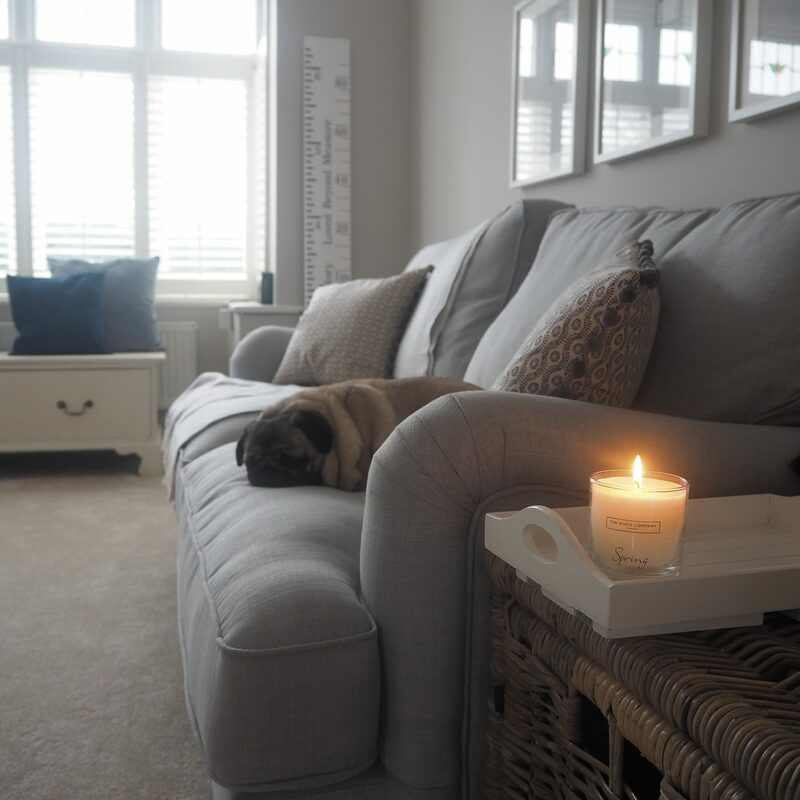 then used a selection of cushions/throws from Dunelm & Homesense to curl up with. 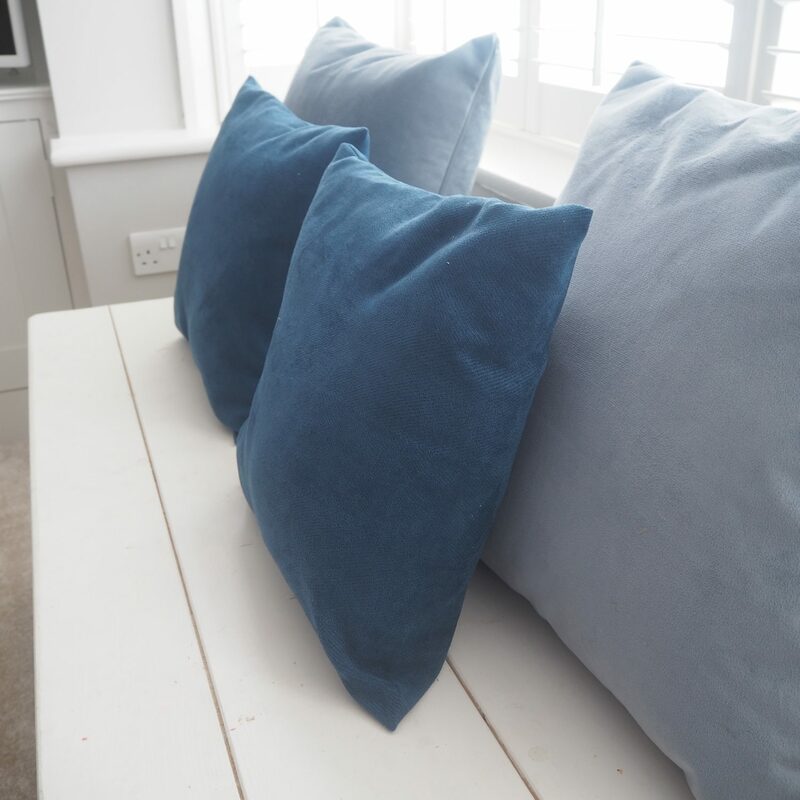 I always find that soft furnishings really calm a room. So lovely! Totally envious, we dont have a playroom, nevermind one that is so stylish!where are the sofa cushions from? Charlotte, this is so beautiful. I can’t believe how quickly you re-vamped this room. 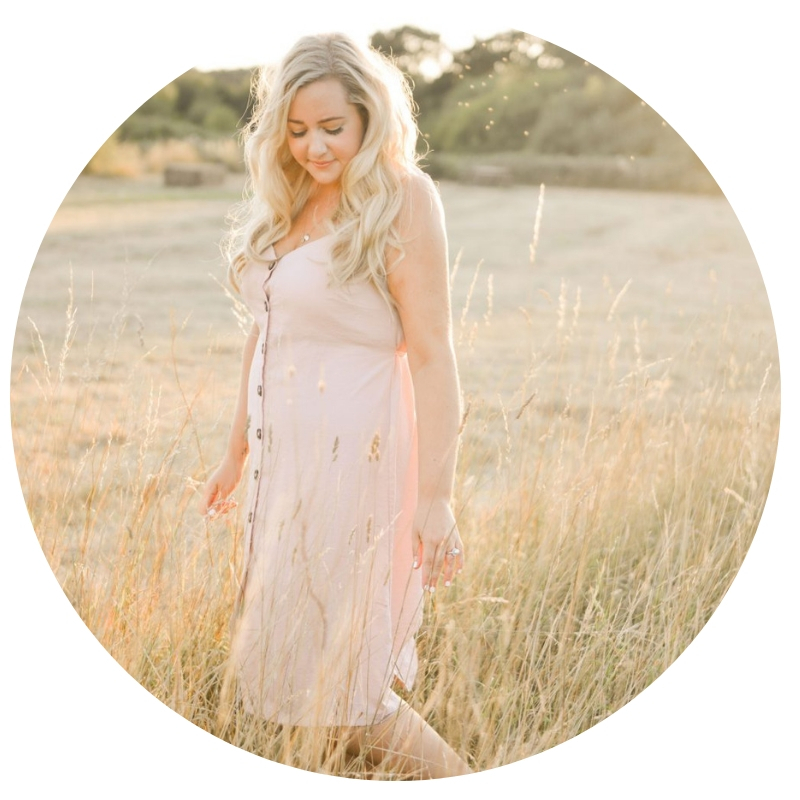 I’m quite new to your instagram/blog, but I absolutely love what you do. I’m so going to be looking up the tile sticker idea. I would never of known they weren’t actual tiles.. 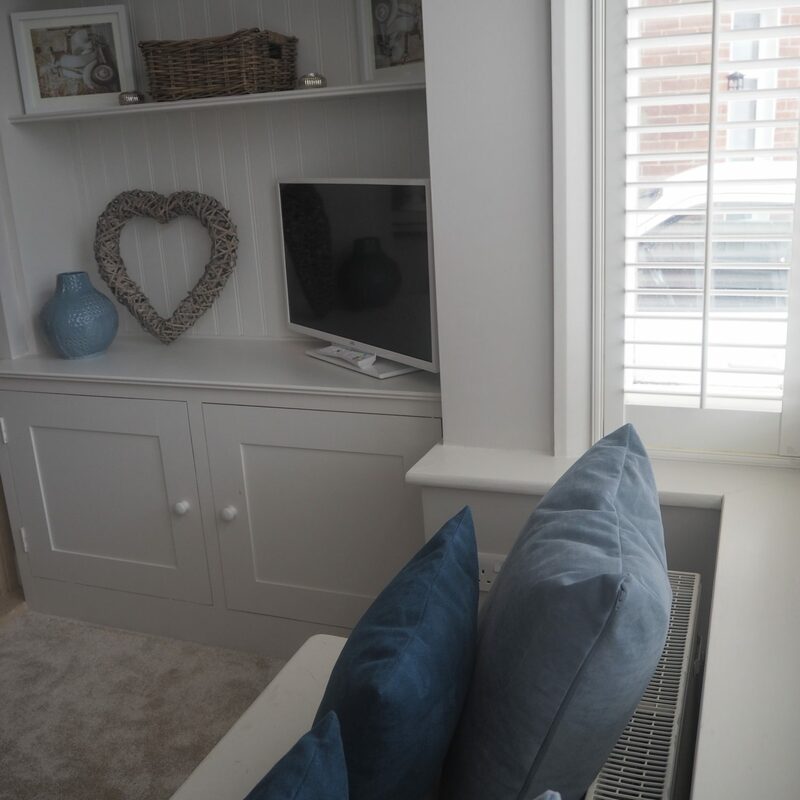 Absolutely love your new snug room..definitely making me want to pull my finger out to finish a few rooms now!! This is amazing..simple but so effective! Makes me want a playroom for my girls so badly!! Following your instagram stories and blog gives me real inspiration to get on and do things round my own home, thank you. It’s beautiful, love your ideas…another room to be proud of. that’s incredible, really great work and i love the colour scheme – so calming and elegant. 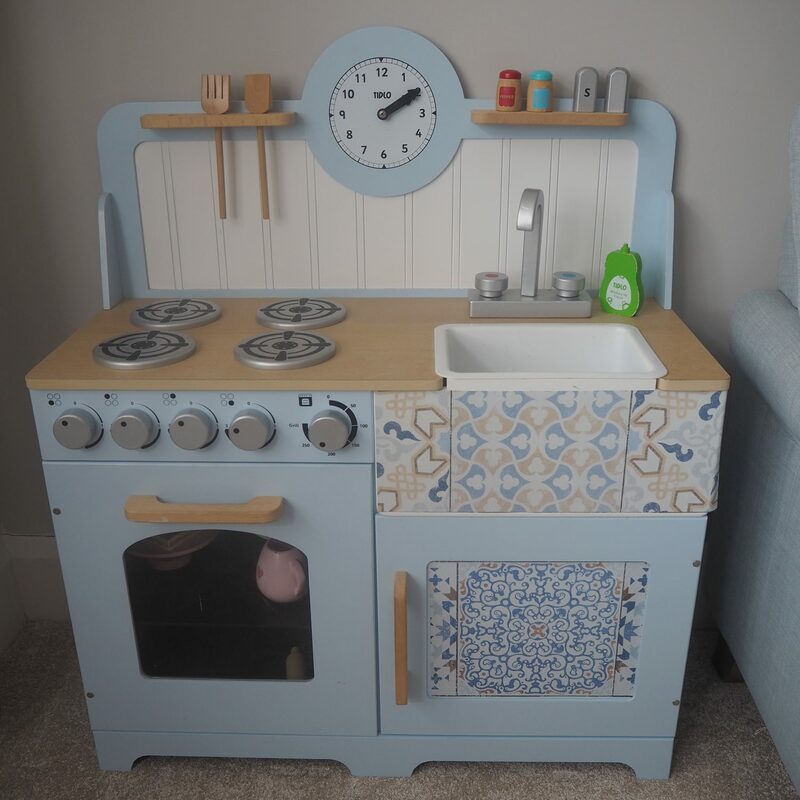 the “tiles” on the fireplace are beautiful, great idea (and it’s so cute that you used the leftovers to embelish the kids’ kitchen!). 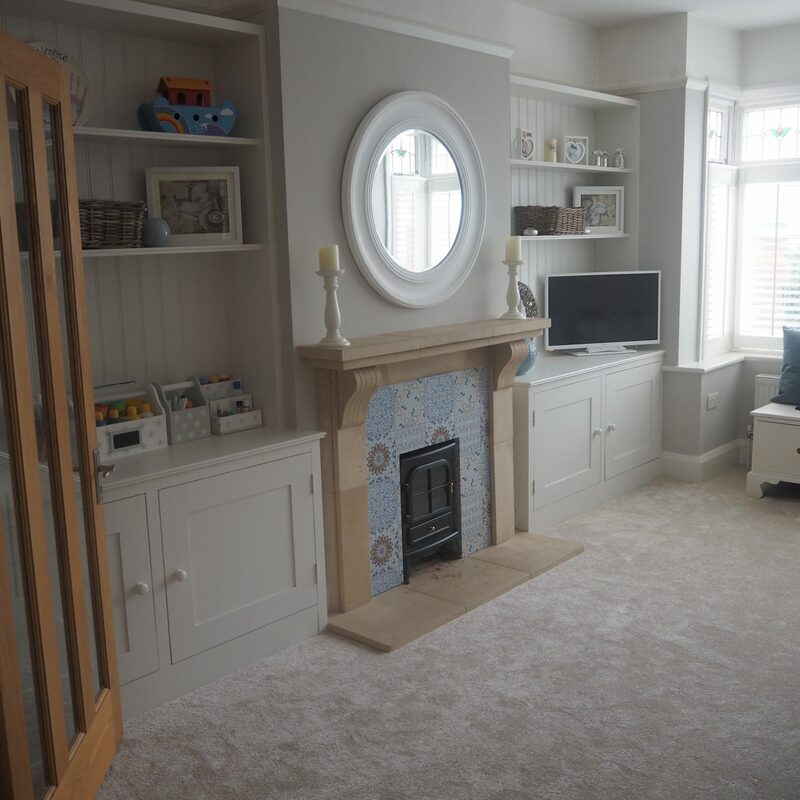 i am sure you and your little ones are going to have a great time in this lovely room. So glad that I’ve stumbled across this after seeing a friend like it on FB. 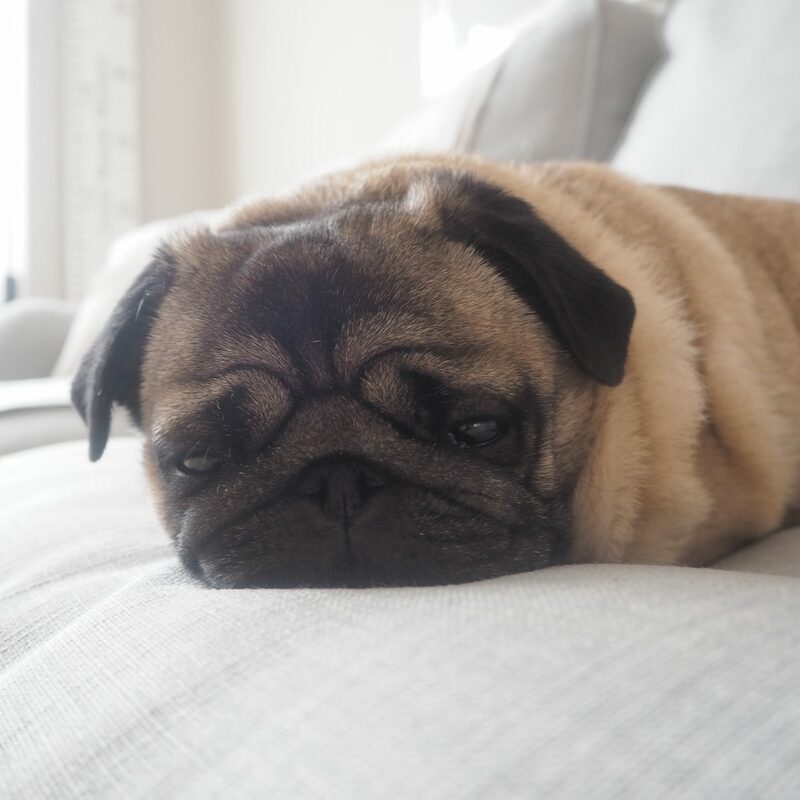 Could you tell me what colour the Dunelm sofa is please? 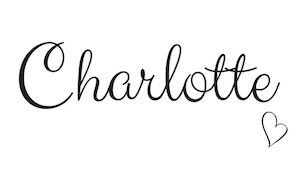 Hi Charlotte, I love the room! I’m interested to know if you would recommend spending the extra money on Farrow and Ball paint? I know I’ve seen on here in the past you usually use cheaper brands. Love it! 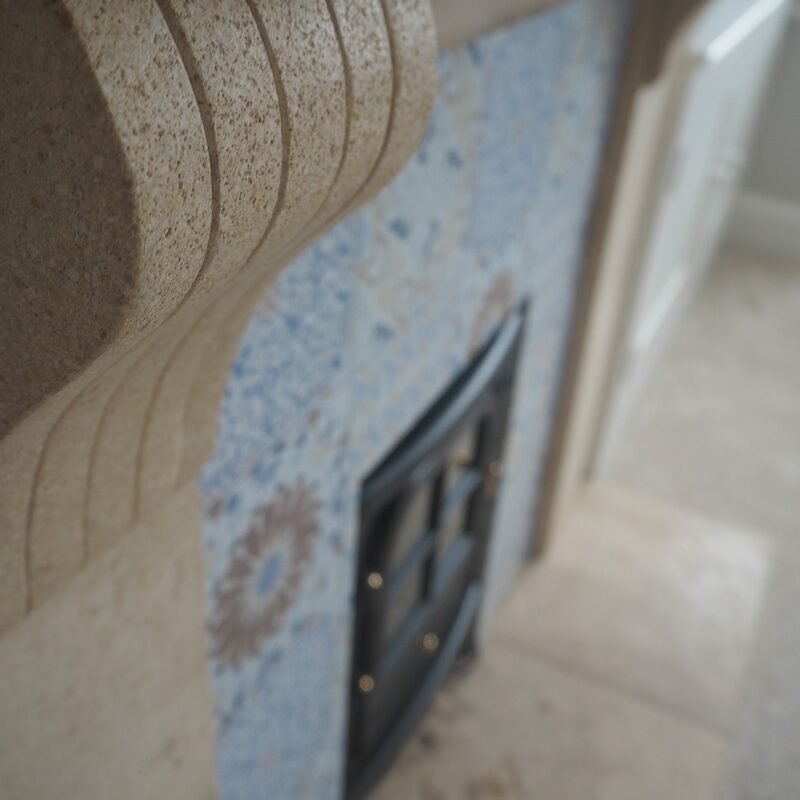 Are you planning on painting the fireplace? I absolutely love it. What an amazing space. Beautiful room Charlotte! 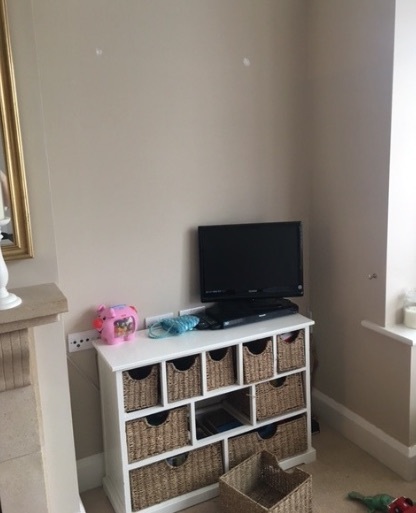 It’s inspired me to sort out our crack den! If you are looking for a photographer for family photos I can 100% recommend Tom and Lizzie Redman. Their work is beautiful and they did our wedding a few years ago. Just wondering if you painted the skirting boards and dado rail in strong white too? Also what emulsion colour did you use above dado? Looks lovely.